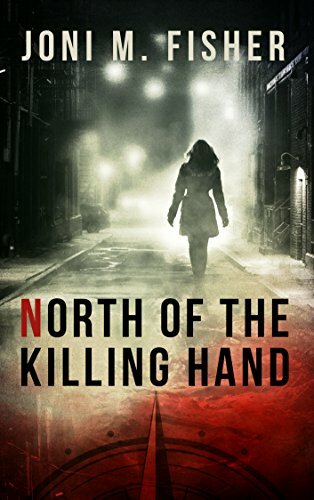 Years after witnessing the murder of her parents, Nefi Jenkins pursues a career in law enforcement, but later must choose between the rule of law and the temptation of revenge. The second book in the Compass Crimes Series, North of the Killing Hand is a prequel to South of Justice. I wasn't exactly sure what I expected with this novel. The author, Joni M. Fisher, was new to me. But I was hooked from the very first page! Amazing writing! This story was so well developed, the characters were multi-dimensional... and the action and intrigue were outstanding! This was definitely NOT one of those "Oh I've heard that story line before" type of books. Much to the dismay of her "missionary" parents living in the Amazon, fourteen-year-old Nefi Jenkins enjoyed finding solitude at the top of a thirty-four foot strangler fig tree. While perched there, looking through her father's binoculars, she witnesses a man forcing her parents to their knees and then shooting them. Three men were tasked with a privately-funded mission to go to the Brazilian jungle to find the missing Nefi Jenkins and return her to her uncle, a U.S. Senator. Everything that happens in that jungle will keep you on the edge of your seat, unable to put this book down for even a minute. And Nefi shows everyone that she is much, much more than a simple young girl. I absolutely LOVED this character! The excitement doesn't end there. As time passes and Nefi finishes high school and goes on to college, the past comes back to her and she is once again confronted with that same evil man who wants to make sure there are no remaining witnesses to the previous murders. This book had EVERYTHING! Criminals, adventure, action, psychic abilities, sweet romance, a touch of humor... everything! I'm surprised more people have not snatched up this book. I will definitely be looking into more of Joni M. Fisher's writing, including another book in this Compass Crimes Series, "South of Justice". 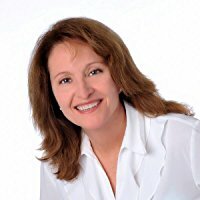 Joni M. Fisher is a journalist, an instrument-rated private pilot, and an active member of the Florida Writers Association, the Kiss of Death Chapter and the Tampa Area Romance Authors Chapter of RWA, and the Women's Fiction Writers Association. Books in her Compass Crimes Series have garnered attention in Publisher's Weekly and earned recognition in the 2017 National Indie Excellence Awards, the 2016 Royal Palm Literary Awards, the Indiana Golden Opportunity Contest, the Sheila Contest, and earned a Reader's Favorite 5-Star Review. For more information, see www.jonimfisher.com.